Now in its ninth year, Business in the Parliament brought together politicians and senior representatives from businesses across Scotland during a two day event. Tackling the major issues that matter to Scottish businesses, this year’s event looked at ‘Shaping Scotland’s Economic Future’. Key note speakers included the Chief Executive of Virgin Money, Jayne-Anne Gadhia, First Minister Alex Salmond and Convener of the Economy, Energy and Tourism Committee Murdo Fraser. 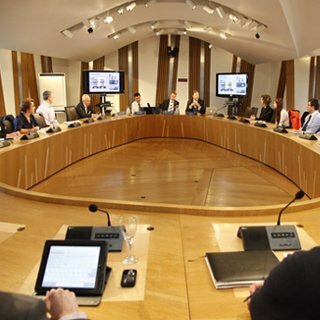 Delegates also benefited from the expertise of leading business people during a series of workshops on a wide range of issues including exporting to new and emerging markets; supporting a youth business boom and a digitally connected Scotland. Mark Evans of Kommando was selected and presented his thoughts, comments, opinions, and anecdotes from 20 years of experience in business. 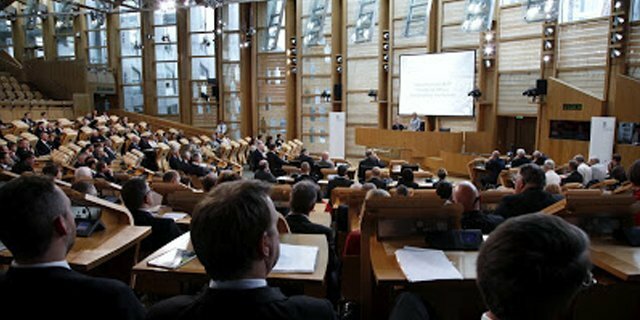 Held jointly by both the Scottish Parliament and the Scottish Government, the event is supported by all the main business organisations in Scotland (CBI Scotland, Federation of Small Business, Scottish Council for Development and Industry, Institute of Directors, Scottish Chambers of Commerce and Scottish Financial Enterprise) as well as the STUC and the Parliament’s Business Exchange. Consumers today are bombarded by noise. It is in their everyday lives, their social lives and their virtual lives. How do we as marketers penetrate the protective carapace in which consumers have shrouded themselves? For nearly 15 years, Kommando's Research and Development team have created and engineered some of the most powerful experiential technologies, hardware and software available anywhere in the world. 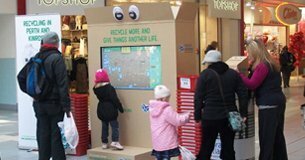 Kommando worked with the Scottish Government to deliver an innovative field marketing campaign, the aim of which was to raise awareness of the dangers of second-hand smoke in the home, focusing specifically on the dangers faced by children.